A photographic essay, “Winston at War,” by Claire Barrett runs in the February 2018 issue of World War II (32:5). The article includes 12 photographs, including the famous Karsh portrait taken in Ottawa in December 1941. 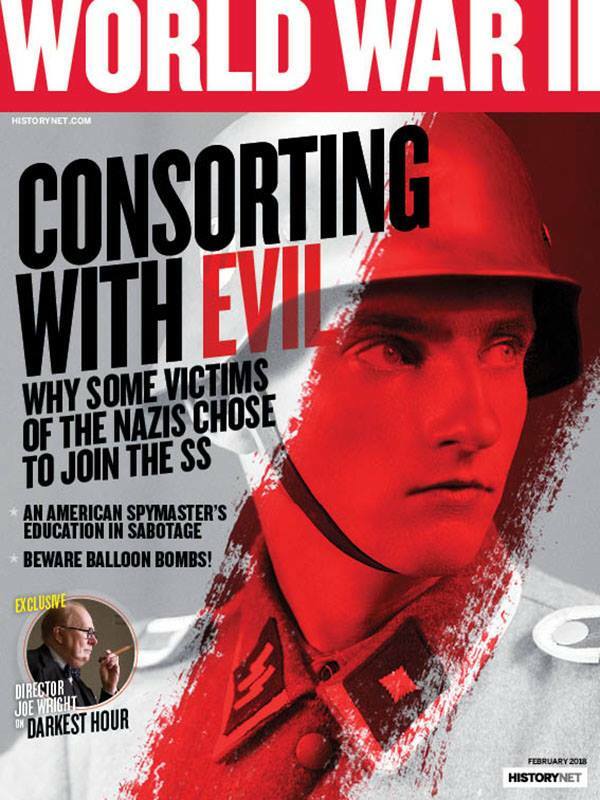 The World War II website is here. The November issue of the Churchill Bulletin: The Newsletter of Winston Churchill has been released. It includes reviews of the movie Darkest Hour and the book Churchill at the Gallop as well as articles on the sale of Churchill’s final painting, the presentation of the Sir Winston Churchill Award to Sir John Major, and the speeches by Lord Dobbs and Andrew Roberts at the thirty-fourth annual Churchill Conference. The newsletter is available here. 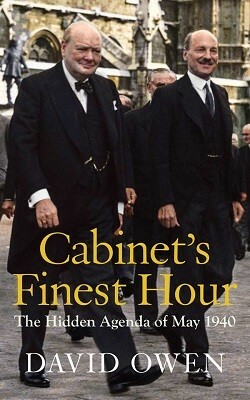 Lord David Owen in his new book, Cabinet’s Finest Hour: The Hidden Agenda of May 1940, studies the critical cabinet meetings held in late May 1940 in which it was decided whether Great Britain should fight on or seek a negotiated peace. The debate in these meetings pitted Prime Minister Winston Churchill against his Foreign Secretary Lord Halifax, who supported pursuing the possibility of peace negotiations. Chapter Four of the book reproduces the full-text of the minutes of the nine cabinet meetings as well as the documents seen by the cabinet members in their deliberations. In describing the debates and decision-making in Churchill’s cabinet at that pivotal moment, Owen offers a spirited defense of the importance of cabinet government in a parliamentary democracy. He praises Churchill as prime minister for not attempting to ”bypass either Cabinet or Parliament,” and for a “a deepening of democracy from 1940-45.” In the volume’s epilogue Owen condemns the failure of Cabinet governance under Antony Eden during Suez in 1956 and Tony Blair during Iraq in 2003. He labels the latter’s sweeping changes to cabinet government in 2001 as “a hubristic act of vandalism for which, as Prime Minister, Blair alone bears responsibility.” Owen’s experiences as a member of parliament for 26 years and as foreign secretary from 1977 to 1979 inform his comments about the House of Commons and Cabinet. The Churchill Society of Tennessee will be hosting a conference, “Mine Eyes Have Seen the Glory,” on Winston Churchill and music on March 23-24, 2018 at venues in Nashville and Franklin, Tennessee. The conference will consider Churchill’s “appreciation for all kinds of music” as well as his “fascination with the Civil War.” Speakers will include Randolph Churchill, Churchill’s great grandson, and Giancarlo Guerrero, Nashville Symphony Orchestra conductor, talking on “Churchill did not have a Tin Ear.” Information on the conference is available here. 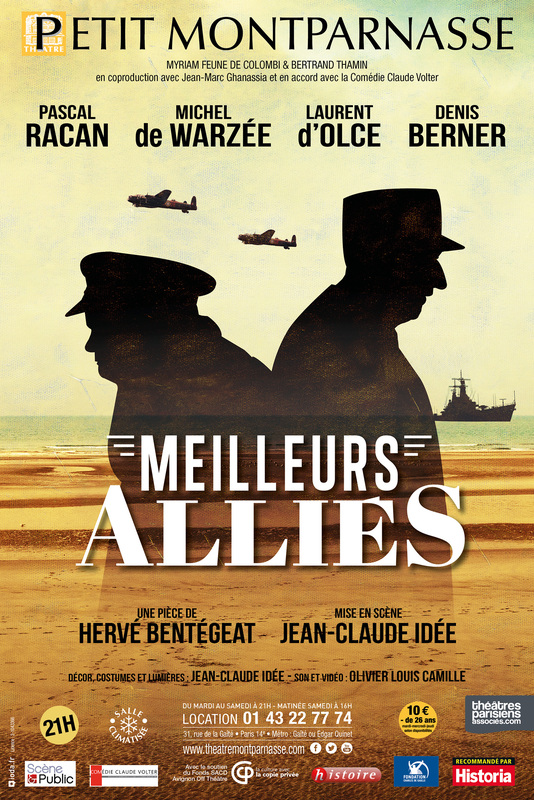 A play, Meilleurs Allies, on Winston Churchill and Charles de Gaulle on the eve of D-Day is currently running in Paris with Michel de Warzee portraying the British prime minister. The play runs through November 30th. More information is available here.